TAICHUNG, Taiwan — Korea defeated Chinese Taipei, 3-2, in a hotly contested first-round game, but its journey in the 2013 World Baseball Classic ended after it lost a tiebreaker. Chinese Taipei and the Kingdom of the Netherlands will now go on to play in the second round in Tokyo. Chinese Taipei, the Netherlands and Korea were tied with two wins each after Tuesday’s games in Pool B in Taichung. According to the official rule, the tie is broken based on head-to-head records or by ranking each team’s Team Quality Balance (TQB). Based on TQB, Chinese Taipei emerged as the group leader, with the Netherlands taking second place. TQB is the sum of runs scored divided by the number of innings played on offense, minus the number of runs allowed, divided by the number of innings played on defense. For purposes of determining TQB, only the scores from the games between the tied teams are to be used in the calculation. It was a surprise that Korea, which reached the semifinal in the first Classic in 2006 and claimed second place in the 2009 event, did not qualify for the second round. Chinese Taipei scored one run in both the third and fourth innings, then the game remained 2-0 in Taipei’s favor until the eighth, when Korea overturned the game with three runs, including a two-run homer. In the bottom of the eighth, former Los Angeles Dodgers reliever Hung-Chih Kuo took over on the mound for Chinese Taipei. Kuo allowed a ground-rule double to Seung Yuop Lee. Kuo seemed to have the situation under control after striking out Hyun-Soo Kim and inducing a lineout by Jun-Woo Jeon, but Jung-Ho Kang clubbed a two-run homer to put Korea up for good. Korea needed to win by five runs or more against Chinese Taipei to advance, but was unable to do so. Since it was ahead, it forfeited its turn at bat in the ninth inning. For Chinese Taipei, its two runs came about on superior baserunning and hitting by Dai-Kang Yang of Japan’s Hokkaido Nippon-Ham Fighters. Yang led off the third inning with a single. Two outs later, Chih-Sheng Lin singled on a line drive to center. Jeon fumbled the ball, allowing the speedy Yang to score from first. Yang was also the driving force behind Chinese Taipei’s run in the fourth inning. Yen-Wen Kuo hit a two-out double to right field, then Yang singled him home. In this tight contest, both sides missed some good opportunities to score. In the top of the second, Korean starter Woo-Jun Chang walked Chinese Taipei’s Szu-Chi Chou to open the inning. After a flyout, Chien-Ming Chang singled on a line drive to third, pushing Chou to second. However, Korea induced a flyout and a groundout to leave the game scoreless. In the bottom of the third, Korea was unable to exploit shaky pitching by Taiwanese starter Yao-Hsun Yang. After two outs, Yang hit Yong-Kyu Lee with a pitch and walked Keun-Woo Jeong. After sustaining a minor finger injury, Yang then was replaced by Ching-Ming Wang, who got Seung-Yuop Lee to pop out to end the inning. Korea similarly missed a chance in the fourth inning. After one out, Kim and Jeon hit consecutive singles. After a groundout, Min-Ho Kang walked to load the bases with two outs. But pinch-hitter Tae-Kyun Kim flied out to end the frame. The strong defense of Taiwanese catcher Kao helped prevent Korea from scoring in the fifth. Jeong reached first on a fielding error, then attempted to score on a two-out single to center from Dae-Ho Lee. Center fielder Che-Hsuan Lin got the ball to second baseman Yen-Wen Kuo, who relayed it home, and Kao blocked the plate successfully. The victory went to Korean reliever Won-Sam Jang, while Hung-Chih Kuo took the loss in front of a sellout crowd of 23,431. Chinese Taipei began the first round by topping Australia, 4-1, and then conquered the Netherlands, 8-3, while allowing just a single hit. Dai-Kang Yang was named Most Valuable Player of the first round. In addition to his outstanding performance against Korea, he scored the first run for Chinese Taipei against Australia and ripped a two-run homer against the Netherlands. Chinese Taipei manager Chang-Heng Hsieh showed appreciation for his team moving on, but he acknowledged imperfections in the loss against Korea. On the other hand, Korea tripped in the first game of the tournament, when it was blanked, 5-0, by the Dutch squad. It recovered somewhat when it toppled Australia, 6-0, but its power hitters began to get going too late against Taipei. Korean manager Joong-Il Ryu apologized to fans for the team’s failure. Earlier Tuesday, the Netherlands secured a spot in the second round with a 4-1 win over Australia. 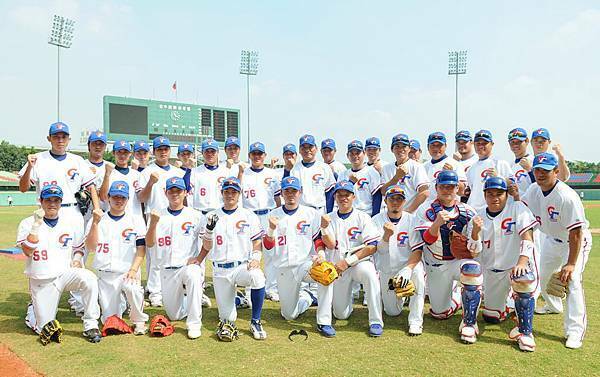 Chinese Taipei and the Netherlands will play in a group against Japan and Cuba in Tokyo, with games beginning on Friday. MLB Network will televise all 39 games of the 2013 World Baseball Classic to be played in March, and will also be the exclusive English-language telecast partner in the United States for the 2017 tournament, Major League Baseball announced Tuesday. The third edition of the Classic, which features the world’s best players from 16 countries and territories that qualify, will be played in seven venues in four nations and territories from March 2-19. Japan is the two-time defending champion, having won each of the first two Classics in 2006 and 2009. The semifinals and finals will take place March 17-19 at AT&T Park in San Francisco. Second-round games hosted by the Miami Marlins will be held from March 12-16 at Marlins Park, and at Tokyo Dome in Japan. First-round competition will be hosted by the Arizona Diamondbacks and held from March 7-10 at Chase Field in Phoenix and Salt River Fields at Talking Stick in Scottsdale, Ariz. In addition to televising all 39 games, MLB Network will extensively cover the World Baseball Classic in its studio programming, including MLB Tonight, Hot Stove, Intentional Talk and Clubhouse Confidential. MLB Network will premiere a World Baseball Classic promotional spot during the 2012 World Series. MLB Network televised 16 games of the 2009 World Baseball Classic. MLB Network will also televise the final game of each qualifier pool. The qualifiers, which expanded the competitive field of the tournament from 16 to 28 countries, has already seen Spain and Canada advance to the main tournament. The final two qualifiers will begin on Nov. 15 in Panama City, Panama; and New Taipei City, Taiwan. The four that advance will join the 12 countries — Australia, China, Cuba, Dominican Republic, Italy, Japan, Korea, Mexico, the Netherlands Kingdom, Puerto Rico, United States and Venezuela — that received automatic invitations based on their performance in the 2009 tournament. Additional information and the opportunity to register for an exclusive ticket sales window are available at the World Baseball Classic website.